Felicity Fair Thompson is a writer and film maker and lives on the Isle of Wight. 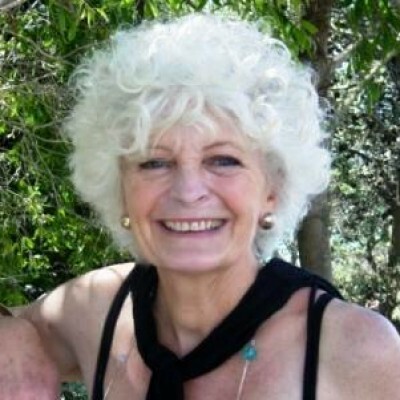 Her documentary Carisbrooke Castle was broadcast on SKY TV and three of her other fourteen independently made travel films for the retail market, were shown on Australian television. She has taught Creative Writing for Screen South, Connexions, Isle of Wight Council, Isle of Wight College, and alongside Sir Andrew Motion for the Bi-centenary celebrations for Alfred, Lord Tennyson, as well as guiding young writers with learning difficulties, and teaching independently. Her published writing includes three children’s stories, an EU funded community play, theatre reviews, personality profiles, award winning poetry and scenic travel features. Exit the King, performed at the 2017 Ventnor Isle of Wight Fringe Festival, and in January 2018 at Carisbrooke Castle, was her first play. She has written three novels: Hold Tight is her latest novel. Cutting In was one of three top finalists in the People’s Book Prize 2014. The Kid on Slapton Beach has received rave reviews – ‘superb on so many levels – a wonderful book’ says Michelle Magorian, author of Goodnight Mister Tom. ‘A jewel!’ says June Brown, Dot in East Enders.